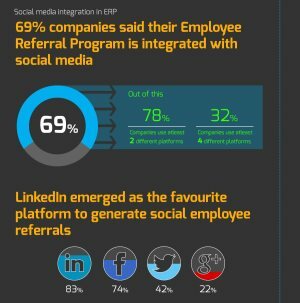 Leading employee referral solutions platform, ZALP, recently announced the results of its Global Employee Referral Index ‘2013 Survey with an accompanying report based on the aggregation of the survey results. ZALP launched the ER-i last year to allow organizations to evaluate their referral process by benchmarking it against that of industry leaders and other high performing referral programs of successful organizations. According to the company, more than 1,000 recruiting professionals across diverse industries participated in the index. The survey found that 92 percent of participating organizations reported to having employee referrals as one of their top recruiting sources. In fact, this method will be the No.1 recruiting source to see a drastic increase in investment in 2014, according to survey results. For complete results, download the report here.